Calling all caramel enthusiasts and fans of national food holidays! 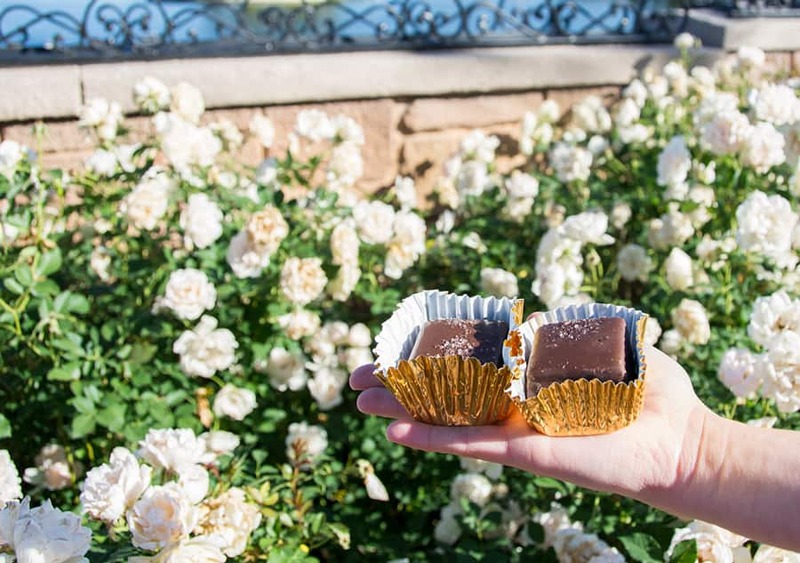 It’s that time of year again – we’re celebrating National Caramel Day here at Walt Disney World featuring some of our favorite sweet treats from the Karamell-Küche in Epcot! 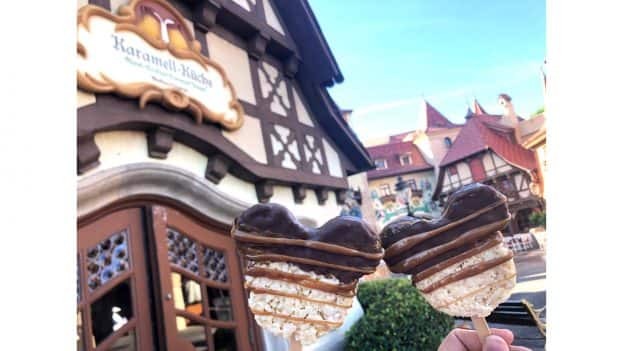 Located in the Germany pavilion in World Showcase, the Karamell-Küche is a must-do on all of my visits to Epcot. 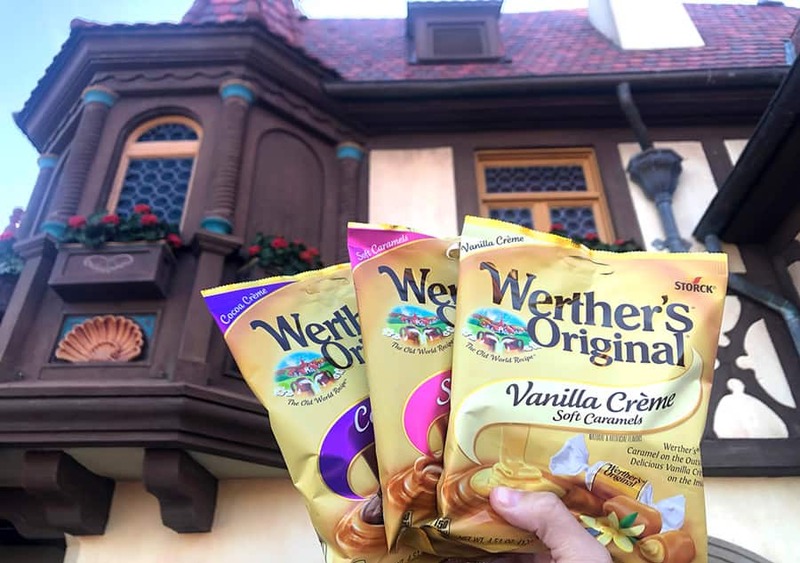 Between the decadent aromas that fill the store and the bountiful selection of Werther’s Original treats, it’s truly a caramel lover’s paradise! Whether you prefer sweet or salty (or, if you’re like me, a little of both!) there’s a snack here for everyone! 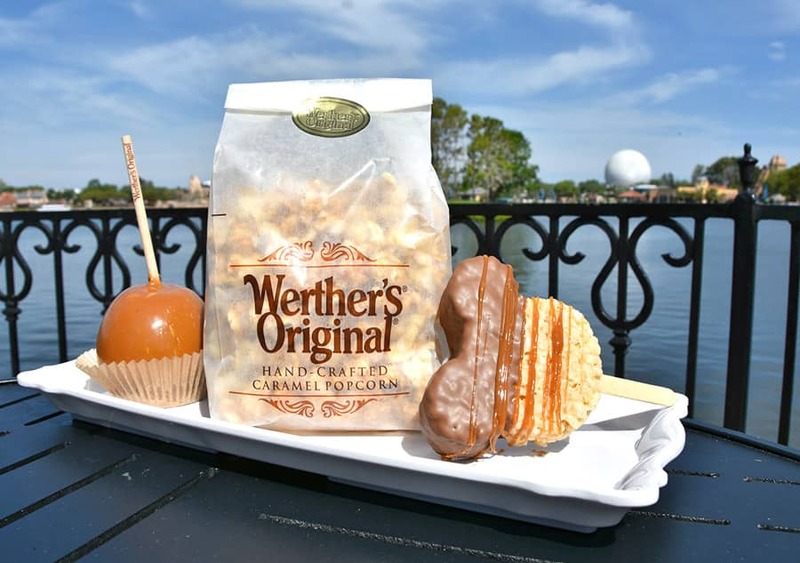 If you’re looking for an afternoon pick-me-up, Caramel Apple Pecan Clusters and Werther’s Caramel Butter Bars are the perfect snacks to munch on as you make your way around World Showcase. 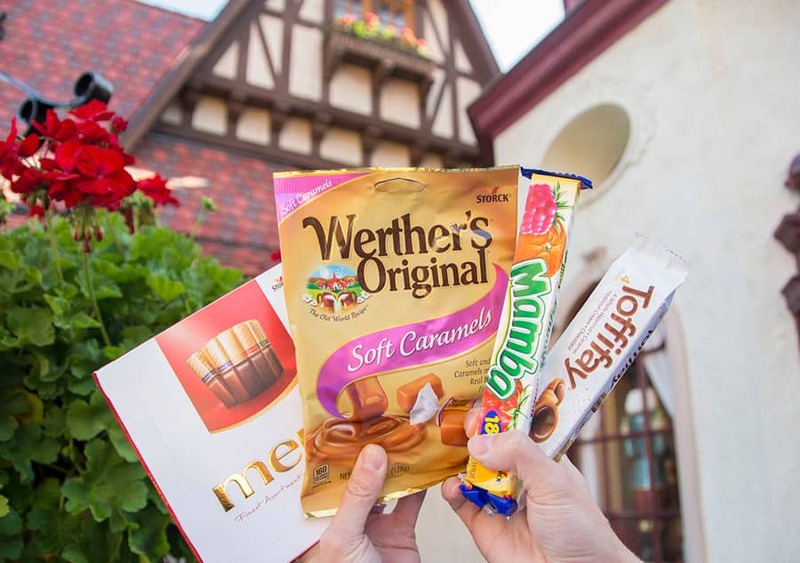 You can also find classic Werther’s Original Gourmet Caramels such as Dark or Milk Chocolate Caramels with Sea Salt, crisp caramel apples, or everyone’s favorite Mickey-shaped Crispy Treat dipped in chocolate and drizzled with Werther’s Caramel. 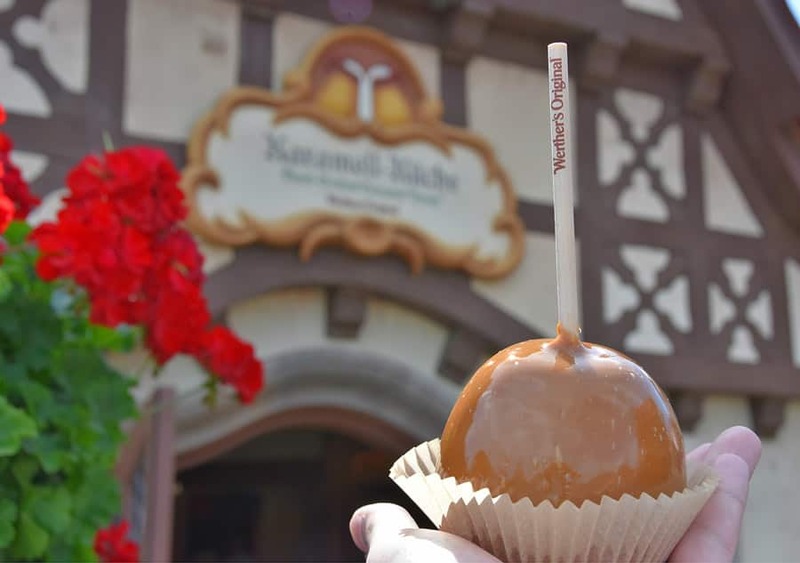 In celebration of National Caramel Day, head over to the Karamell-Küche and you may just get a taste of Disney magic just for stopping by! And don’t forget to pick up some delicious treats to take home with you. Recently, I’ve been hooked on the new vanilla crème soft caramels – they are literally melt-in-your-mouth good! See you in Germany! Guten appetit! The Caramel Butter Bars are the absolute best!! Need one right now. I can’t wait to try some of that yummy caramel! It is one of my favorite days of the year! 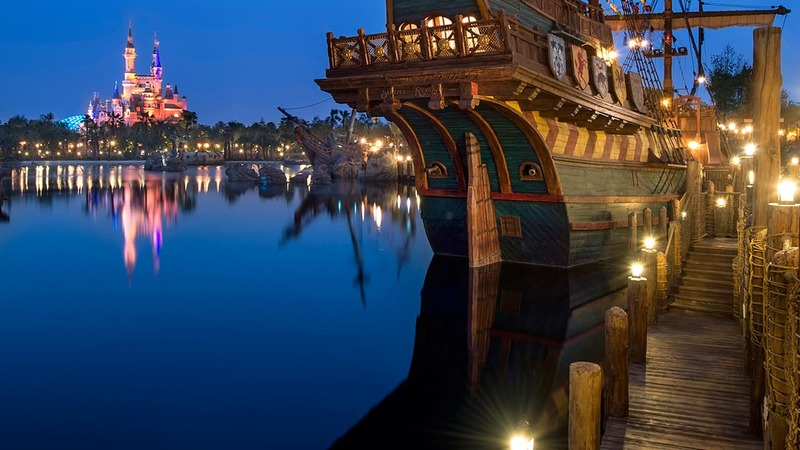 QUIZ: How Well Do You Know the Disney Parks Clocks?